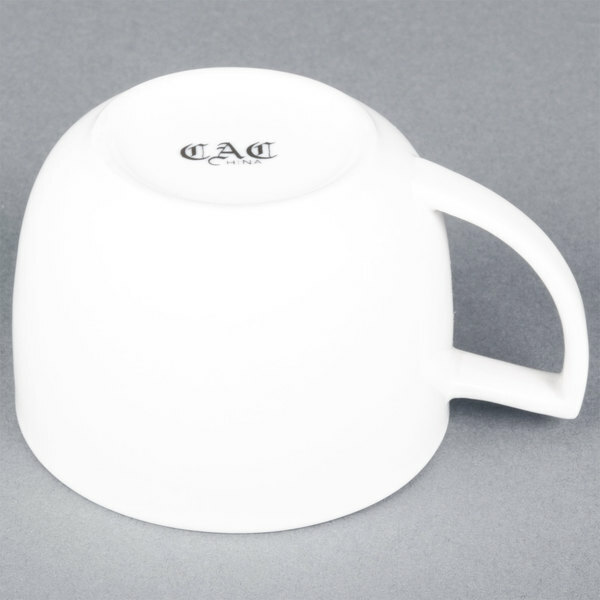 Featuring the crisp appeal of traditional porcelain, these CAC COL-1 CAC collection 8 oz. 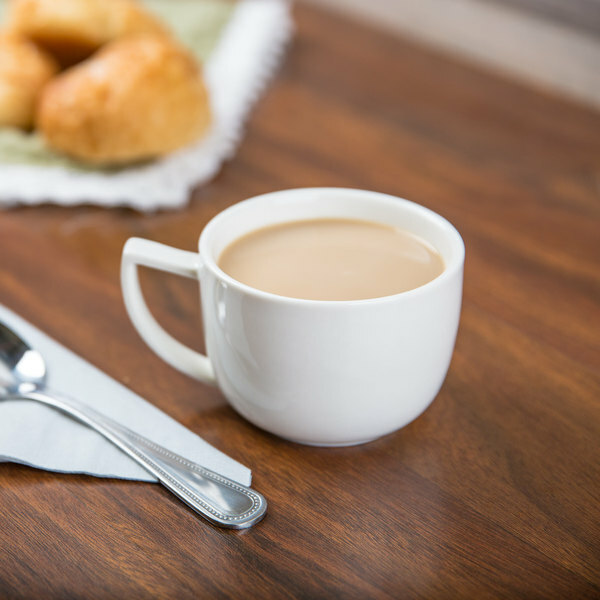 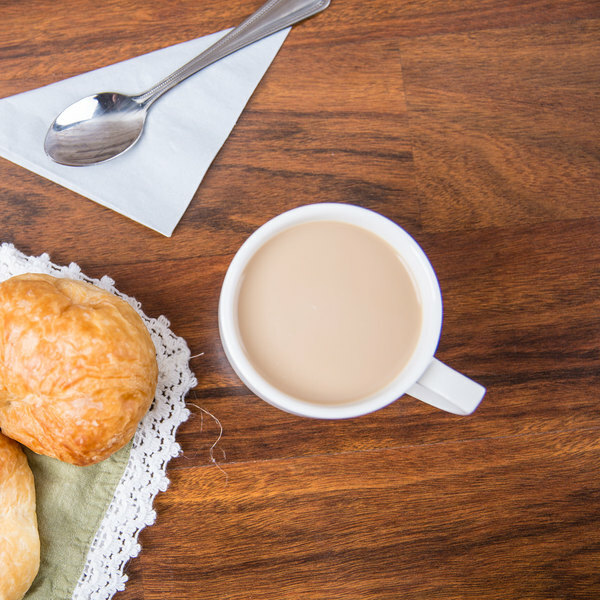 cups are ideal for serving gourmet coffee, tea, cappuccinos, and more! 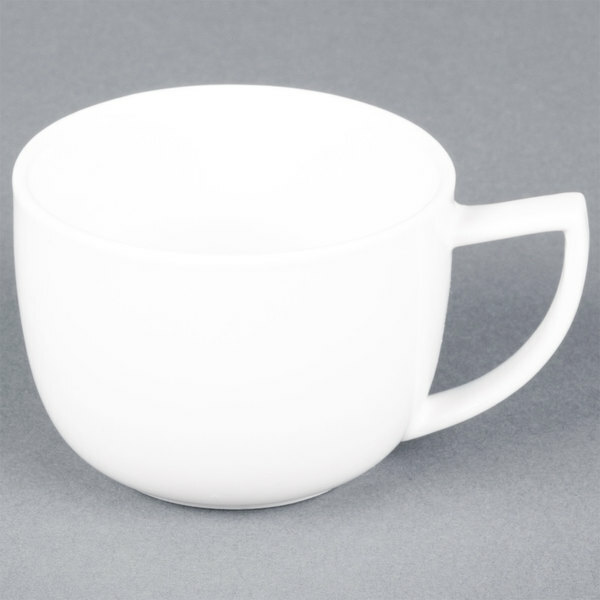 Made of strong, visually appealing porcelain, these bright, super white cups are ideal for diners, restaurants, and cafes. 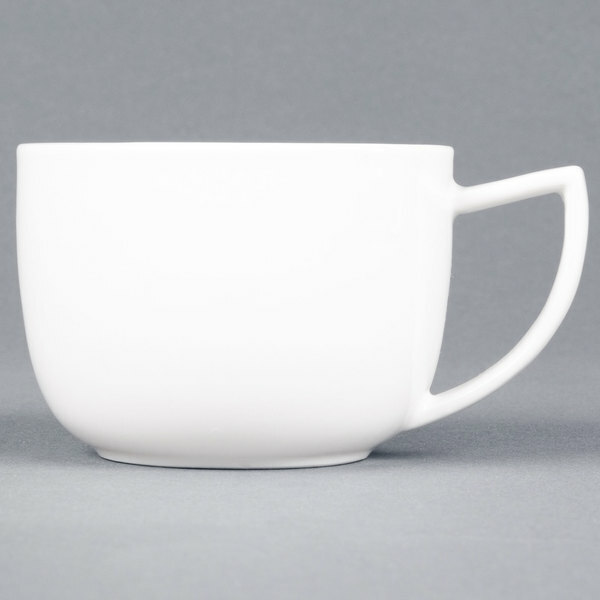 These cups also feature a slender handle that extends from the top rim to the base and protects your customers from the heat of their beverages. 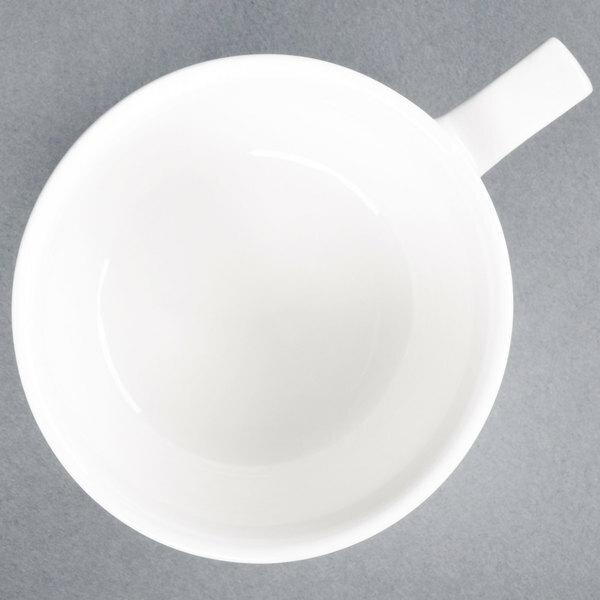 Bright white porcelain saucers are available (sold separately) to create the perfect set for your establishment.